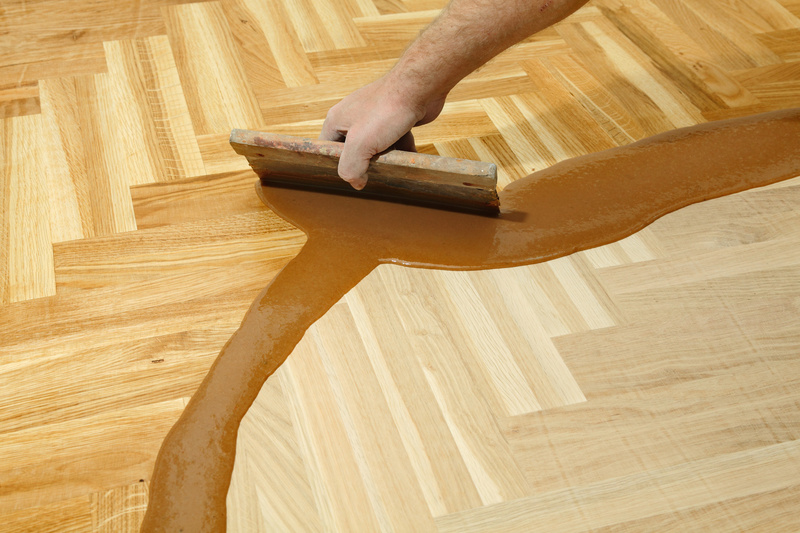 How do you know when to refinish your hardwood flooring? Hardwood flooring can last for years -- just look at some of the homes built in the 1800s -- wood flooring is still intact. It does need to be taken care of though. Proper cleaning and maintenance is a must if you want your hardwood flooring to look beautiful for years. One technique that is very cost effective. It doesn't have to be done every year (like cleaning your carpet) either -- you can get by 10 or more years between refinishing your hardwood. This lets you get your money's worth from your initial investment. The one downfall is, you have to be out of your home for a few days if you are refinishing multiple rooms. It is a very messy process and should be left to the professionals at Cherokee Flooring. Depending on size and number of rooms, the job length can vary. We'll be able to give you an estimate once we do a consultation at your home. There are two types refinishing methods: traditional and sandless (dustless) refinishing. For traditional refinishing, all the furniture has to be removed from the room and have a thorough dusting/sweeping done. If there are any cracks or scratches have to be filled to ensure a smooth surface after sanding. After that the sanding begins, which will remove old coats, scratches and stains to your hardwood floor. Next, we will vacuum up all the sand. Lastly, a stain or sealer is applied to the wood. Dustless sanding is recommended for floors that don't have deep scratches or heavily damaged wood. It's also not 100 percent sandless. This method is less expensive and doesn't take as long to complete (typically).